Planning on popping the question? 100 red roses are a fairy tale addition to your special day. If you know that you love them, it's only natural to want to show it. Love is traditionally expressed through objects, such as flowers and engagement rings. 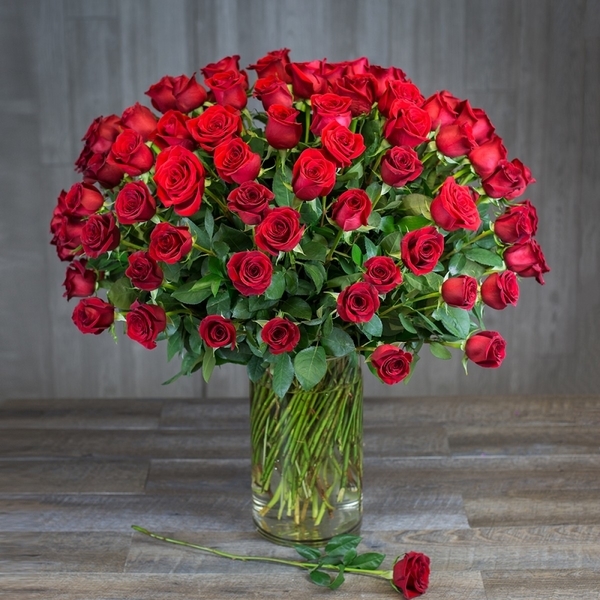 Take things up a notch with a dazzling 100 red roses bouquet! Love doesn't have an expiration date, so use the power of 100 red roses to show your undying commitment. Red roses are striking, no matter what occasion they are for. And a 100 red roses bouquet? That's one of the most striking things you can give her!